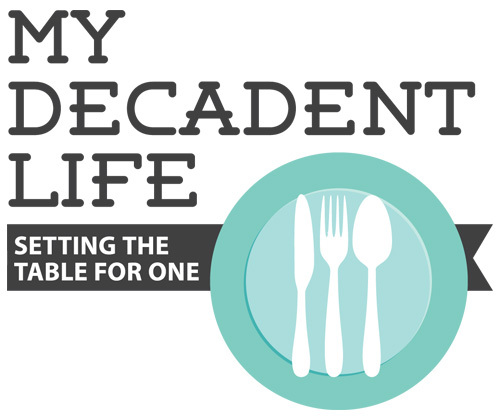 I did a definition search for the word decadent and was surprised to see that the least damning definition could still use some explaining. It’s actually a good fit, once I tell you that time is the greatest luxury. Time can’t be bought or sold. When time runs short, we can’t print off more like the central bank. I’ll also admit to being self-indulgent with my time. As we are so often reminded, there are only 24 hours in a day, and to spend a good portion of it strolling through the farmer’s market, cooking, eating and washing dishes feels luxurious to me. Well, maybe not the washing dishes part. The pesto recipe I used is from Feeding the Young Athlete by Cynthia Lair. It’s a flavorful basic recipe that comes together quickly. I went a bit overboard with the pesto, practically finger painting it on all the ingredients. I suggest you learn from my delicious, yet heavy, mistake by setting half of it aside prior to assembling the gratin. Use leftover pesto with pasta, sandwiches, potatoes, eggs, meat, etc. Warm a sauté pan to medium low heat. Slice bread into 2 inch cubes. Pulse in food processor until desired consistency, I like mine a little chunky. Melt butter in sauté pan and then add bread crumbs. Stir until fragrant and golden. Set aside. Before measuring, remove stems from basil leaves. Rinse and spin dry the basil. Blend first five ingredients together in a blender or food processor until smooth. Place in a bowl and stir the parmesan into the basil mixture. Preheat oven to 350 degrees. 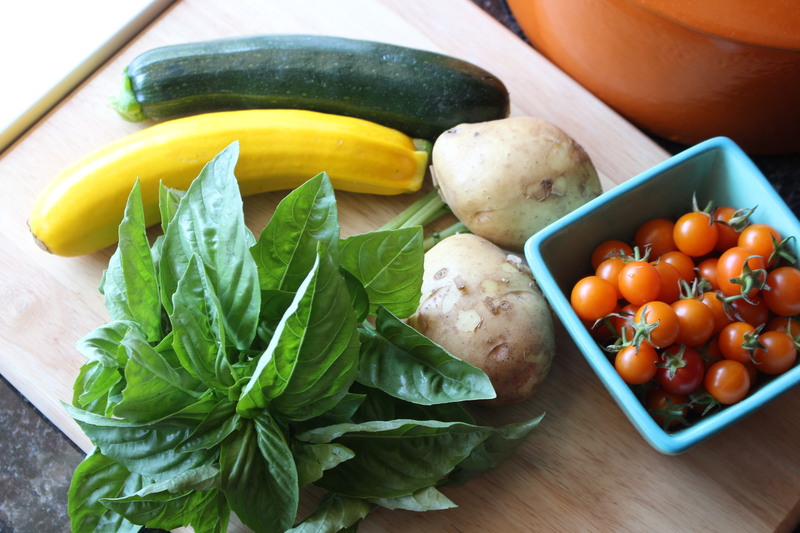 Grease 9″ baking dish with pesto. 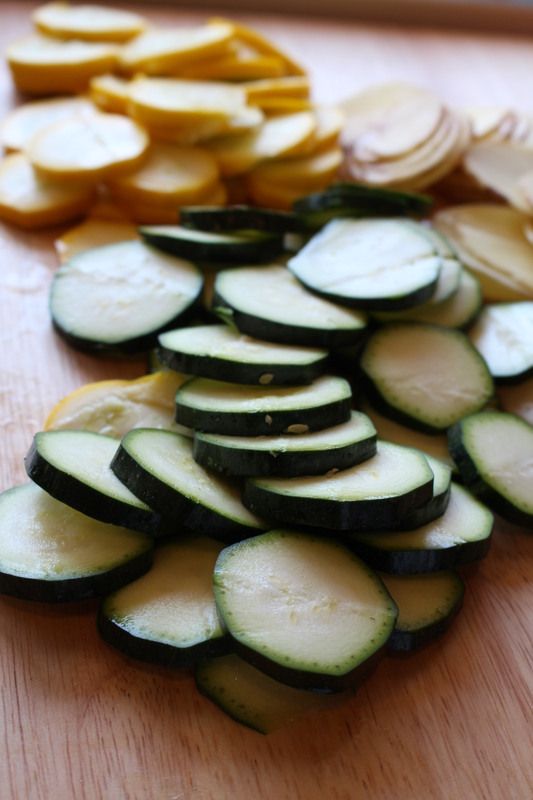 Line the bottom of the dish with alternating slices of zucchini, potatoes and summer squash; using half of these ingredients. Top this layer with all your cherry tomatoes and drizzle with pesto. Add one more layer of squash and potatoes. Drizzle on more pesto. Now add the breadcrumbs and bake for 40 minutes. Makes 4 entrée sized portions.